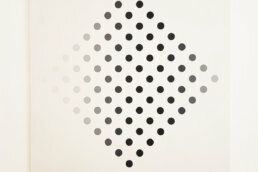 I was first introduced to Bridget Riley on a school trip to the Tate Modern. Before seeing her creations, my knowledge of world-renowned art was limited to familiar, traditional works such as the Mona Lisa or Van Gogh’s Sunflowers’. I was fascinated to see simple geometric shapes like lines, circles, curves, and squares come together to make well received art; art that was completely different to the accepted masters. It made a huge impression on me. 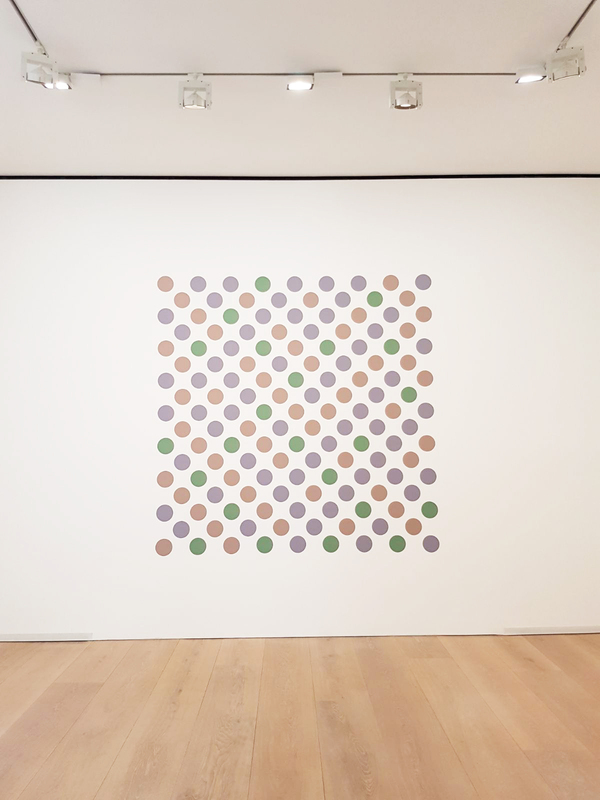 The current exhibition “Bridget Riley: Recent Paintings 2014-2017” at the David Zwirner Gallery made an equally big impression on me. Covering three floors of large open white walled rooms, the works included canvases and wall paintings that focus on two themes. 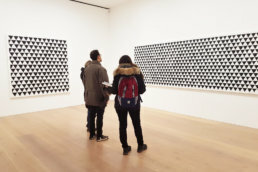 The first, stark black and white triangular shapes, and the second, what Riley calls The Discs, which are perfect looking circles making intricate patterns. 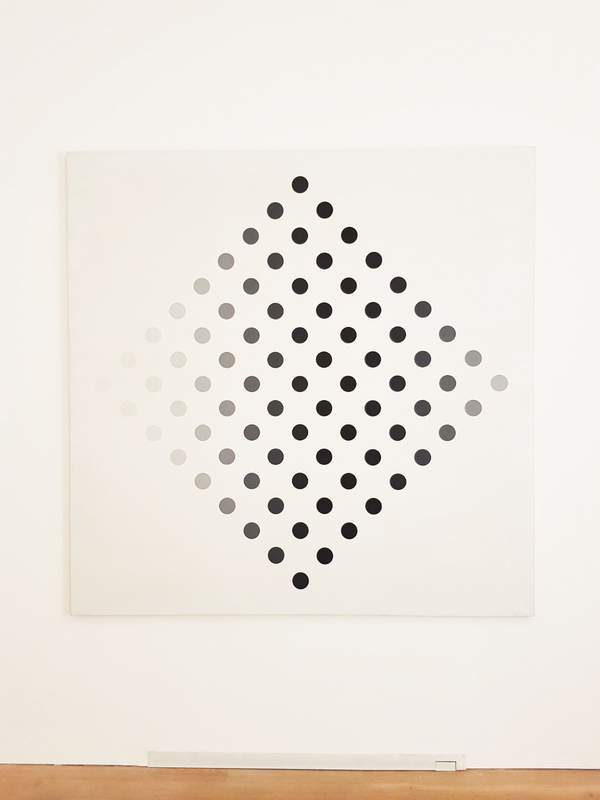 On the second and third floors, half of Riley’s circle pieces continue the black and white theme, where black discs form a diamond as they slowly fade to a light grey at its edges. These pieces create an interesting contrast with her final disc works as she introduces three new colours: purple, moss green and a reddish grey. 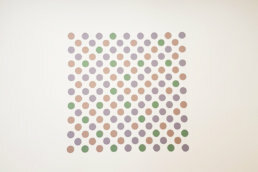 These muted circles combine to make more complex structures that gives us something new to see. 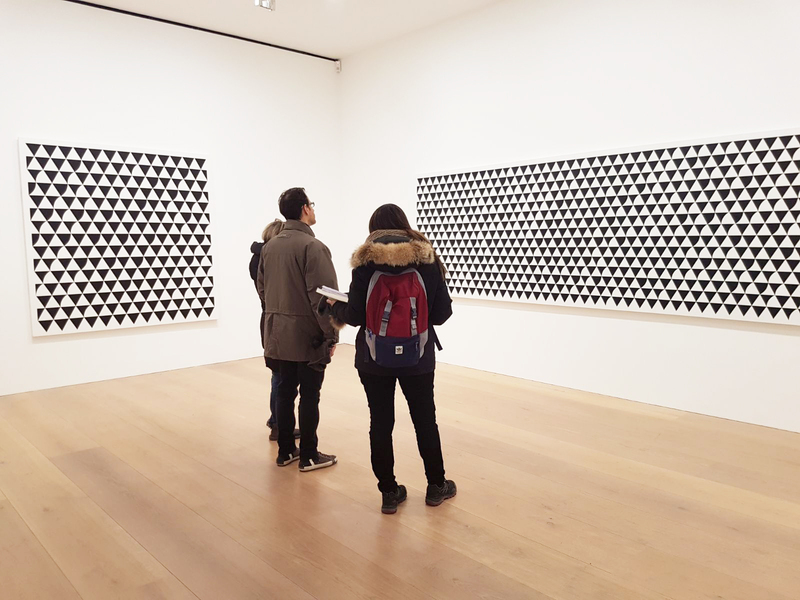 All in all, the exhibition is a must see for fans of Bridget Riley and new gallery goers alike looking for something more than still lifes and portraits.